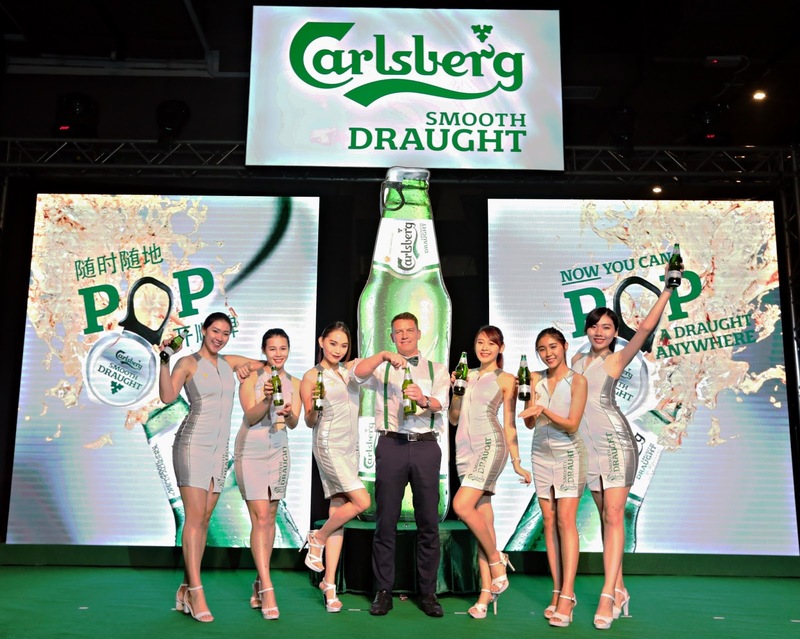 Kuala Lumpur, 10 April 2018: Carlsberg Smooth Draught - “Probably The Smoothest Beer In The World” - unveiled an easy-to-open bottle while eliciting a fun vibe with its one-of-a-kind innovation. Replacing the pry-off cap, the 580ml and 325ml bottles now come in an innovative ring-pull “POP Cap”, revolutionising the draught beer drinking experience further. Now, one can “POP” a draught beer anywhere, an experience that’s hassle-free without a bottle opener while having FUN! Simply lifting the ring and pulling in a swift motion results in a “POP” sound from the bottle,consumers can enjoy the smoothness of a Carlsberg Smooth Draught anytime, anywhere. 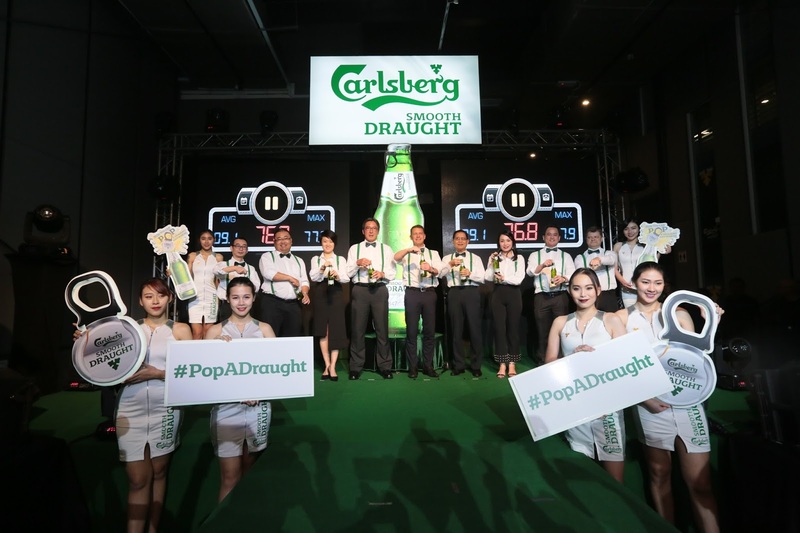 “The “POP cap” is probably the biggest innovation yet for the Carlsberg brand as Malaysia is the first amongst 140 Carlsberg markets globally to adopt this technology. This innovative “POP cap” is the solution to the hassle with traditional pry-off caps that require a bottle opener; or twist-off crowns which may result in fingers getting cut. With the “POP cap”, you can now enjoy the smoothness of draught beer in a bottle with ease and fun at your comfort and convenience.” Lehmann added. Guests were first greeted by an edutainment interactive wall displaying the evolution of draught beer and beer bottle caps then tested on their skills to uncap a Carlsberg Smooth Draught using only tools except a bottle opener, followed subsequently by the unveiling of the “POP cap” bottle. The other highlight of the event was the captivating performance by Lehmann who thrilled guests with his special flying drum performance, while elevated in mid-air, choreographed to a visual and acoustic synchronism of music and dance rhythm amplifying the “POP” innovation through sound and sight. Probably the best beer in the world, Carlsberg is the flagship brand in Carlsberg Malaysia, a truly international beer brand available across 140 countries worldwide. The very first Carlsberg beers were brewed by Carlsberg’s founder J.C. Jacobsen in Copenhagen, Denmark in 1847 whilst the first locally brewed Carlsberg in Malaysia was in 1972. Carlsberg, with strong association with football, has been a tournament sponsor of the UEFA EUROs since 1988, is the official partner of Liverpool FC for the last 25 years and has partnerships with five major national teams including England.